I know that manual testing is valuable to Google, although it is not commonly perceived (or rewarded) as such. An ex-colleague of mine now works at Google as a “Developer in Test”. He says that manual testing finds a number of significant issues missed by tests… and we are not just talking typos, 1 pixel misalignment, and the like. 1. It is not feasible to automate every test. There are several reasons for this: ROI (do the tests provide enough value versus the time and effort to automate them? ), test execution time (feedback not quick enough), resource requirements (e.g. test environments, hardware), tests that do not need to be repeated often (if at all), consistency of results (browser-based tests are notoriously fragile), to name a few. 2. An automated test will only pass or fail. Automated tests can only confirm something is or isn’t; it is a case of black-or-white, whereas a person testing can analyze shades of grey. They can pick up on things that an automated test is not programmed to look for. They can have conversations to determine if this thing they have noticed is a defect or not. They can learn from the feedback the system is given them and and explore further. They will find defects that automated tests do not. Essentially automated tests are valuable in confirming that the things they are programmed to check are present and correct, and so provide a good platform for (manual) testing to expand upon. Thanks Wayne. You mention some good points there. I have read the article you mentioned, but the link would prove useful for other readers too. I fully support your view on how companies are missing the point on hiring Test Engineers. Most important skills that any tester must possess are analytical thinking, ability to adapt, understand applications/business domains from both bird’s eye view and detailed view and to have good communication skills. I was once told by a colleague of mine that Test Engineers should be the guiding light in any team especially in Agile teams and I tend to fully agree with that. Automation is a very important skill and much needed one too. But I am convinced that strong Automation (read: Development skills in testing context) does NOT guaranty a good tester. 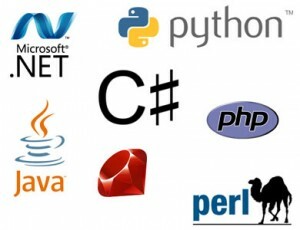 It is also becoming a fad in a way these days to hire “Developers in Test” and that surely raises quite a few concerns. One must understand that in a testing role one must hire a “Tester who can Develop” rather than a “Developer who can Test”. Testers are skilled people with niche skills and as outrageous it might sound to replace all developers with testers the contrary is quite true if you ask any quality conscious person. Yes, I concur with all your statements. I’m old school, been testing for 25 years, and during that time I’ve picked up a smattering of code but also, in all that time, not one of my employers has considered that I was justified in requesting support from the training budget to get some formal coding experience. But the future is set, I think – until the NEXT big thing in testing arrives and the current crop off testers find their skills are supplanted again.